Having a smartphone in the wrist will be amazing for sure and it will make you shine among your friends! This technology was first invented by the tech giant Samsung by introducing Samsung WM8650 in 1999, which is then counted as the first watch phone in the world. But it lacked many features that required for a smartphone and hence it was not a smartwatch. At present, there are more smartwatches have been released by various brands and one of the spectacular watch phones was Sony's SmartWatch. But it is little expensive with a price tag of Rs.8,500 in India. But the good news for you is, you have got the cheapest watch phone in India, which is dubbed as XElectron M998 that comes with a decent price tag of Rs.3,499. It is released a few months ago and going to be trend in 2013 because of the lowest cost. Now let's look at the features equipped in this smart device. After reviewing the device, you can find that it is simple in design, easy to carry and use. The XElectron M998 watch phone is equipped with 1.5 inch TFT touch screen with a resolution of 128 x 160 pixels. It works on a GSM frequency of 850 / 900 / 1800 / 1900 MHz. It is equipped with a 1.3 mega pixel VGA camera that has a resolution of 1280 x 1024 pixels and has digital zooming, video recording etc. It's video player can play 3GP and MP4 videos and it supports MP3 also. Along with these multimedia features, it is having a FM radio for the users. It has no internal storage but it supports external up to 4GB using microSD cards. Connectivity options of this watch phone include GPRS, Bluetooth and USB. 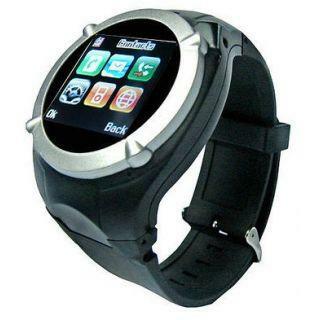 No 3G, WiFi and GPS are available in this watch phone. It uses a Li-Ion rechargeable battery for the power supply. This product has 6 months warranty and in the box, you will get free accessories such as stereo earphones, USB cable, power adapter and the stylus pen for the input. You can buy it from Naaptol.com online shopping website with the price tag of Rs 3,499 in India. They offer cash on delivery but no free shipping. I have XElectron M998 mobile watch. It's a superb mobile in Indian market. But its battery backup is too bad. So, Now I want an extra battery of this mobile watch. Please tell me, how can I get a battery of this mobile watch. When I switch-on this watch phone, if I put a SIM card the stylus pen is not working. After I remove the sim card then start again it works fine. When I switch-on this watch phone, if I put a SIM card the stylus pen is not working. After I remove the sim card and start again then it works fine. Anyone experiencing the same thing? Please share and help me.